If you’re a new or potential Virtual Assistant it can be really difficult to imagine what types of business owners would hire you and how that relationship would begin. I already have a blog post on how VAs landed their first client, but I was interested in finding out whether the same methods applied when it came to signing up subsequent clients. In order to find out if the methods were the same or whether subsequent clients were obtained in a different way, I asked members of my VA Handbookers Facebook group to tell me (without breaking their confidentiality clause, obvs!) who the last client they signed up was and how they found them. “I’ve just signed an amazing lady who is a transformational coach helping women lose weight naturally by changing the way they eat and their relationship with food. She also makes gluten-free cakes and treats which are fab! I met her through a business I ran with my friend last year which has since collapsed, hence me becoming a VA. Her business is growing fast and she approached me and asked if I could help her. “A marketing specialist who has only been going about six months. I met her at a Chamber of Commerce networking event a couple of weeks ago, emailed her afterwards to arrange a coffee and follow up chat and then I signed her up a couple of days later. “An Independent Financial Adviser approached me on LinkedIn at the end of last month and I started working for him last week. In the initial chat, he said that he wanted to someone to arrange his review meetings and that it would be a mix of phone and email. He’s now looking at other things he wants me involved in. 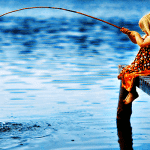 “Yesterday I signed a new social media content client on a retainer basis. They came via their business coach who I know well through local networking. By the end of yesterday’s meeting the client had introduced me to a guy in the next unit down and so I have a meeting with him next week too! “My last client made an appointment with me via my website. She’d heard about me through Facebook somehow (must have been a coaching group I’m in because I don’t do ads). I had a little over an hour to Google her and get a feel for her before our call. “One of my best friends who lives in Australia was visiting a couple of weeks ago. She told me she was setting up in business and needed my help with admin, social media and blogging stuff that she doesn’t know how to do. 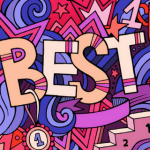 “My last client is a small business who headhunt film and TV production staff and they came to me via a referral from the other new client I signed up within the last month. I’m moving them over to GSuite, setting up a database for them, getting Google Drive all organised from the get-go (they currently just email documents between them), helping them with their GDPR documents and generally trying to narrow them down a bit. “My last signed client is a husband and wife landscape design and lawn-care company. 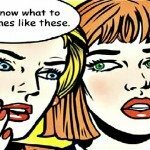 I’m part of a women entrepreneur online group and I met the woman because I sent messages to everyone in my region asking if I could connect with them on social media and to see if they wouldn’t mind looking at my website. She sent a message back right away saying they needed help. “My last client is a local charity who needed minutes of their quarterly trustees meeting taken. I was approached by one of the trustees who I knew from a breakfast networking group. He ran a dry cleaners and promoted that at networking, but he volunteered for the charity as well in his free time. As you can see, it’s a wide range of different business owners who need support – even people with job descriptions you never knew existed! Although bigger organisations will often have in-house administrators or PAs, smaller businesses and one-man bands are much more likely to need ad-hoc or part-time support, and are therefore ripe for VA support. Clients via networking and referrals were common in both blog posts because marketing is simply about getting your name out there. 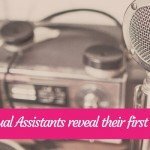 So if you were wondering what types of businesses hire Virtual Assistants, the types of things they need a hand with and how they might find you in the first place, this post and the one on how VAs landed their first client, will give you some insight and inspiration on who to contact to propose your services. It is a very poor (both financially and professionally) Virtual Assistant who just expects the phone to ring, and it’s really important to go out and shout about what you do. Your support will make a massive difference to someone’s business and therefore it’s your duty to find out what people need help with and then tell them how you can solve their admin headaches. If you need a step-by-step how-to guide on how to get new clients then I have one here. It comes with the email template I use myself, but I have 10 additional prospect email examples to help you if you’re not sure what to write. Sent you an email a couple of weeks ago asking your permission to feature your remarkable Story in an article here in the states. Also, left a comment on your group page about making a referral to the group. Would appreciate a reply to both. Thank you. I did reply – I said yes. Can you email me again please.